Convenience: They offers one-click type editing tools, whether it's about reducing blur, resizing the photo, removing objects, restoring old photos, or fixing red eyes. Interface: They need to be simple, intuitive and user friendly. Price: Unlike complicated professional photo editors, these are either free or affordable paid versions with rich features. Support: It'd better provide tutorials or customer support to reduce learning curve. In the following part, we will share with you the detailed information about these photo editors listed above from the following sections. For those who want to edit photos on iPhone or Android phones, check our picks of the best photo editing apps for iOS and Android in 2019. This software can be used by Window users only, but is listed as one of the most affordable yet impressive editing tool. This tool not only offers over 200 photo effects including filters, frames and overlays; but can also intelligently remove the image background of your photo by analyzing few rough marks you make; and moreover, erase the watermark, remove unwanted objects or scratches from your photo without affecting the background. This software is very easy to use and in some instances you can increase the size of your photos by over 1000%. You may be thinking that you don't want to lose quality when you do this and with most software types, you will but with this one you don't have to worry about a thing. You can re-size your photos as much as you want and you will also find that it comes with a zoom function as well. 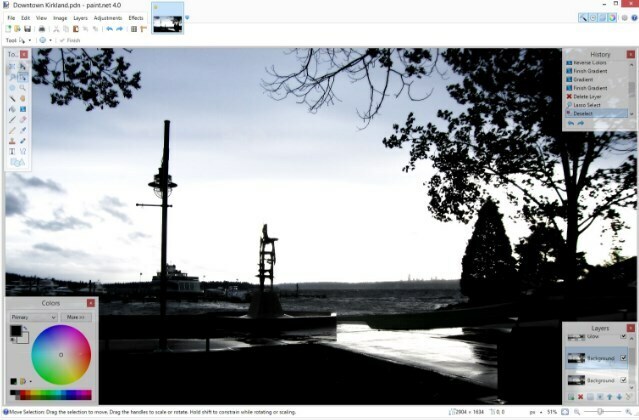 On top of this, you can adjust your photos with clarity and the easy interface makes it incredibly easy to use when compared to other types of software that are on the market. 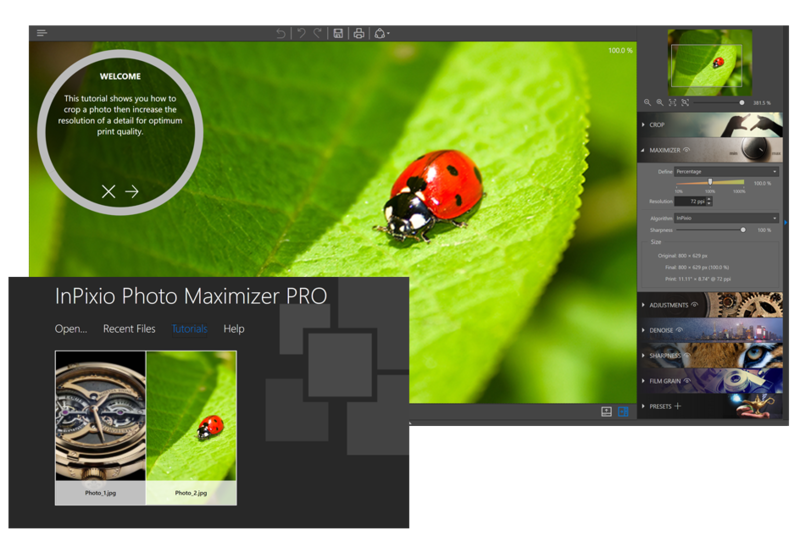 Photozoom Classic 7 is the best in class solution for enlarging photos and graphics. Based on BenVista's award-winning S-Spline Max technology, it can expand your favorite pictures to any dimensions you choose, up to 300,000 x 300,000 pixels, all without sacrificing a single pixel. Edges, details, and shapes are perfectly preserved. Moreover, you can compare different resize methods at a glance in split screen view to easily select the best resize option for your image. With the simple interface, beginners should have no problems working with this program. Inpaint is great if you want to Remove tourists, watermarks, date stamps, text or logo, and any other unwanted objects from your photos. 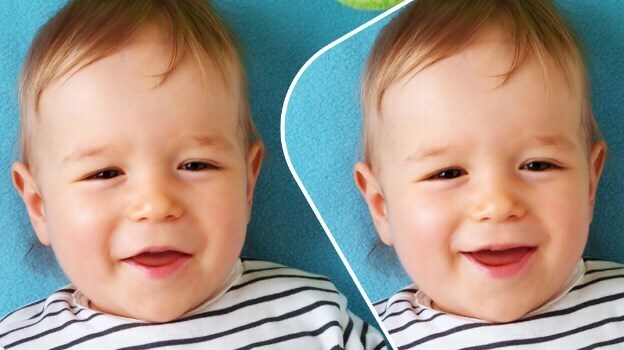 Or you can also repair old photos, erase wrinkles and skin blemishes, digital facial retouching and more. This will only take you a couple of minutes and it is so easy to do as well. If you have never used any software like this before then you shouldn't have any problems either and it is a great way for you to get started on your road to becoming an excellent photo editor! The extensive list of editing tools and all advanced features of Adobe photoshop element can assist beginners as well as professionals to transform photos into any impressive form. This software has won so many awards for its sharing capabilities and classic support system. It is rated as best entry level product on the basis of price point and interactive user interface. One most interesting feature of Adobe photoshop element is its camera shake reduction tool; it provides automatically noise reduction in captured images. The only con is that you need to access separate application as photo organizer for this platform but it is provided by Adobe itself. Affinity Pro photo editing software was earlier released only for Mac users but the latest update has covered the Window devices too. It consists of wide range of editing tools and extends support to almost 15 popular file formats. You can expect minimal complexity on this platform as the basic editing tool is user friendly. Users can easily make adjustments for drawing tools, painting, selection, cropping as well as for red eye effect removal. Some advanced tools included on Affinity Photo are lens distortion correction, font effects and batch processing capabilities. Beginners can easily learn the basic photo editing skills with this interactive software platform that possess wide range of editing tools. Users call it ‘uncluttered software’ that provides easy access to all features so that photos can be transformed to desired form within few minutes. It consists of basic and advanced editing tools that can be used to remove red eye effect and the colour management tool can easily enhance brightness levels. Batch processing is also enabled so that multiple photos can be edited with ease and the best part is that it supports about 250 fonts for easy editing. 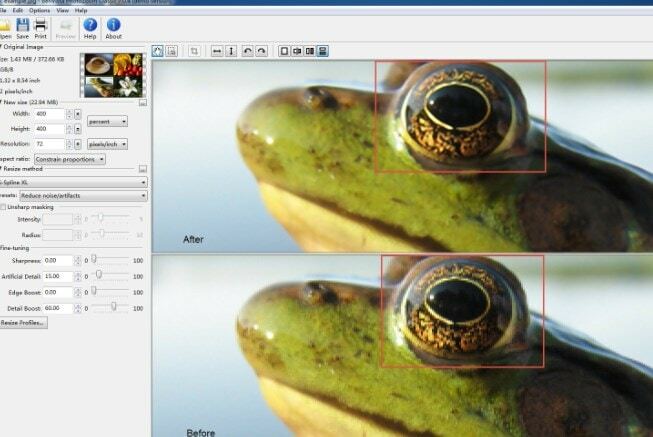 GIMP is an open source type image editing tool with advanced features. People love to use this software for development of graphic designs and logos. But it appears little heavier when you will install it for the very first time. 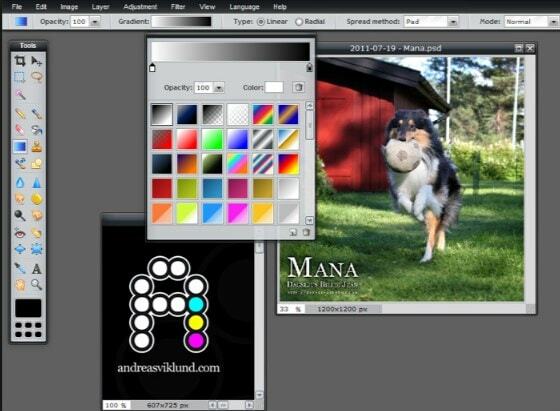 Many users rate it as a useful alternative to Adobe Photoshop due to its classy look and simpler interface. The free graphic editing tools are best service provided by GIMP platform. Here is the easiest and best photo editing software for beginners with standard editing features and highly personalized user interface. Although it does not support live chat feature and the phone support is also missing but you can access knowledge base and community forum easily. With purchase, users are able to avail 10GB free cloud storage space that assists in easy storage as well as efficient sharing of files. Beginners can prefer to start with 30 days free trial period to learn the basic features of this software and then complete tool can be accessed on onetime payment as well as on subscription basis. You will love to use this software application on your iPhone because it serves with one touch editing tool. The web based version is also user friendly with so many advanced and basic editing tools that can meet all needs of beginners as well as professionals. Those who need to update attractive photos on social media platforms like Google Plus and Facebook etc are advised to go for its web based version. 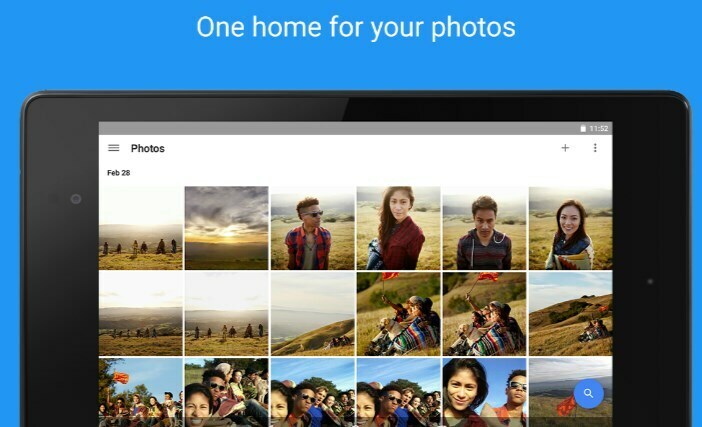 You might be aware of the name Picasa- it is other popular name of Google Photos software tool that is often found on most of Mac systems as well as desktop computers. The major reason behind its popularity is that it offers simplistic user interface where users need to spend just a few minutes to develop outstanding photo effects. The resulting files can be easily shared on social media platforms like Twitter and Facebook etc. iPhone lovers prefer to install Pixlr photo editor just because of its professional touch. The mobile application as well as web based software version, both are rated as user friendly and you can access for free. Pixlr is well known for its interactive file sharing feature that assists users to stay connected with Google Plus, Facebook and many other social media platforms with regular photo updates. Why don't you have a look at some of these for yourself today to see how they could benefit you? You won't regret it and it has never been easier for you to get what you need, when you need it. This is one of the best articles I have come across. A job very well done. Love the list of the applications. All these recommendations are great too. Moreover, the way you have explained each application, is a masterpiece. I hope that it will be a great help for the beginners like me. The article gives me a clear picture of which one to pick and what to expect from that. Thanks a lot. I highly suggest PhotoViewerPro as the best photo editing software. 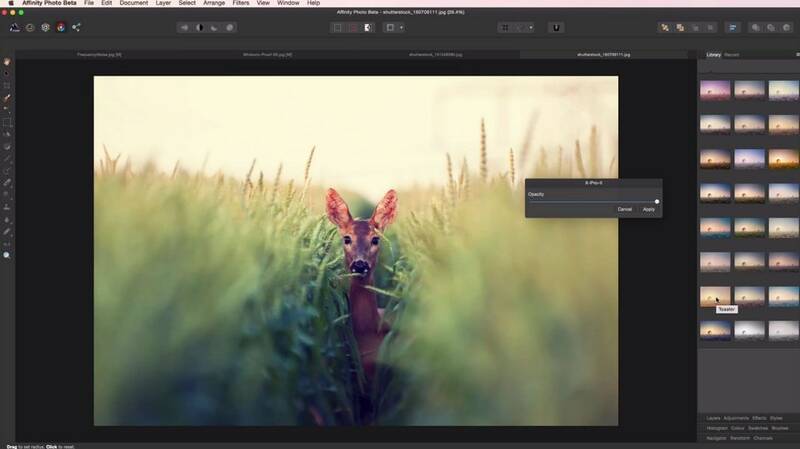 It makes editing a lot easier and it gives you a wide array of tools to make your photos eye-catchy and more enhanced. I've been using PhotoViewerPro for a while, and it made my life much easier. It's quite nice, lite and powerful photo editing software and I don't have any objections :-) I prefer it over some other commercial software.. Thanks for this awesome list. 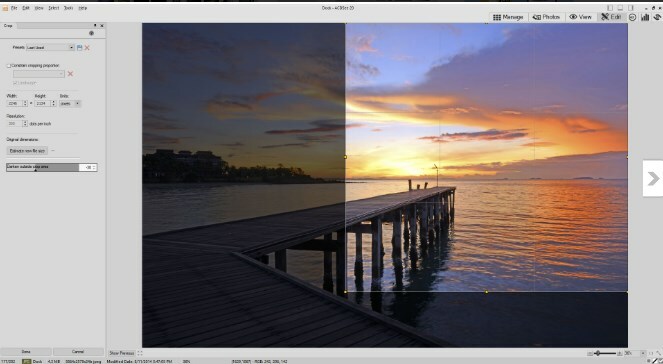 As per my, experience, I would like to suggest KrojamSoft PhotoViewerPro. It’s simple software but its very powerful and lets you browse image files from your PC. Very user-friendly application. If someone is looking for a free photo editing software then they should consider GIMP as well. I guess you could have included it here.